Actor Kevin Spacey has decided to take some time off from the professional space as many allegations of sexual assault continue to surface. "Kevin Spacey is taking the time necessary to seek evaluation and treatment," the actor's representative told Variety. "No other information is available at this time," added the spokesperson, reported Variety. 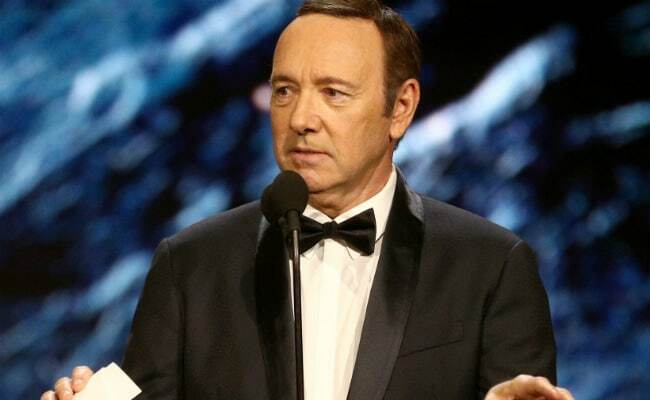 Kevin Spacey, best known for his Golden Globe-winning Netflix show House Of Cards, began trending after he came out as gay in his apology note to actor Anthony Rapp. Earlier this week, in his interview with Buzzfeed News, Mr Rapp released an explosive account of his encounter with Kevin Spacey - he accused Kevin Spacey of making a "sexual advance" at him when he was just 14. The Kevin Spacey shocker arrived in the wake of the downfall of disgraced Hollywood Moghul Harvey Weinstein. After Anthony Rapp's account, many others like Mexican actor Roberto Cavazos and documentary filmmaker Tony Montana have also accused Kevin Spacey of making sexual advances. In a Facebook Post, Roberto wrote: "There are a lot of us who have a 'Kevin Spacey story'." Meanwhile, in an interview with Radar, Tony alleged the senior actor behaved with him inappropriately in 2003. There are more repercussions to the Kevin Spacey allegations. Netflix announced House Of Cards has been cancelled beyond season 6 (which is yet to be released). As per an AFP report, Netflix and production house Media Rights Capital issued a joint statement saying they were "deeply troubled" by the allegations against the actor, who is currently not scheduled for shoots. It was on Monday, when Kevin Spacey tweeted his statement of apology to Anthony Rapp, which an outraged Twitter pointed out was to "distract everyone from the fact that he just got exposed as a child molester." Mr Spacey wrote: "I owe him (Anthony Rapp) the sincerest apology for what would have been deeply inappropriate drunken behaviour", which was followed by this statement: "This story has encouraged me to address other things in my life... I have loved and had romantic encounters with men throughout my life, and I now choose to live life as a gay man." In the light of current events, the International Academy of Television Arts and Sciences has decided to not honour Kevin Spacey with the 2017 Emmy Founders Award.